When Jeff Kent announced his retirement recently, baseball lost much more than a great second baseman. 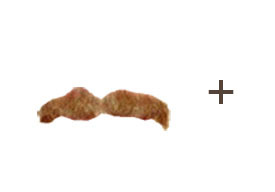 It lost a great mustache. Amazingly, Kent’s ‘stache is not one of the handful of fuzzes that has its own entry in our Unfortunate Facial Hair pantheon. But don’t be fooled: his was truly fabulous fur. And it is not the only UFH that we stand to lose. 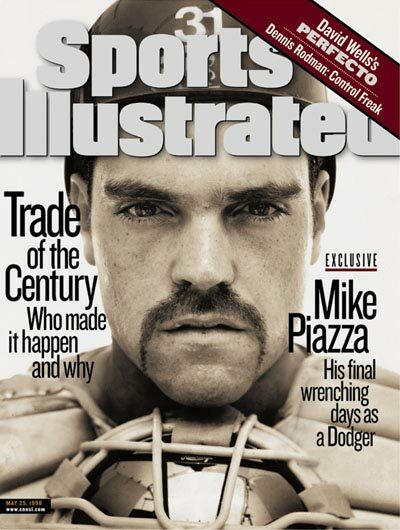 Mike Piazza retired in May (and to mark the occasion Paul created a Piazza UFH retrospective). Now it’s looking increasingly unlikely that Sal Fasano will find a job. And both Todd Helton and Randy Johnson are in the twilights of their respective careers. For the good of the game and, yes, for the good of America it’s time for these UFH vets to pass the torch to a greener generation. Here are a few young players who might consider picking up where the vets left off. 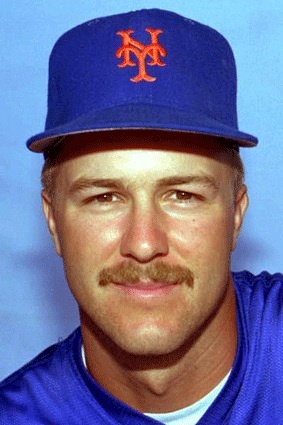 Kent’s actually toned down his mustache late in his career, but in his early years with the mets his flavor savor was large and in charge. 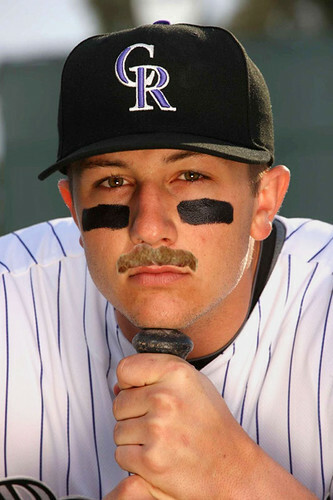 What would happen if we took Kent’s mustache and put it on Troy Tulowitzki’s baby face? Whoah! 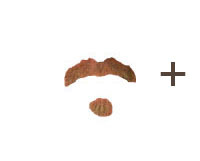 Where does the line for mustache rides form? Todd Helton always had God. But it wasn’t until the clean-shaven first baseman with the squeaky clean image adopted a mammoth goatee that the Rockies made it to the World Series. Joey Votto is another clean-shaven first baseman who’s looking for his first taste of October baseball. What would he look like with Helton’s UFH? Let’s find out. Mike Piazza changed his image a lot over the years, switching from hockey hair to bleach blond locks to the mustache in a moment’s notice. 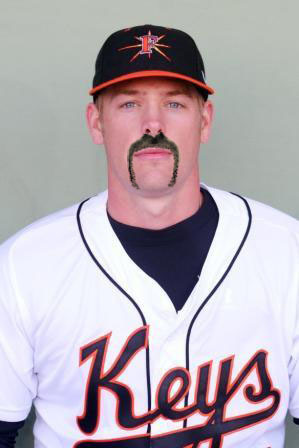 But arguably his best look was his fu manchu. Matt Wieters hasn’t played a single game, but already scouts are predicting he’ll be one of the best ever (think Piazza, but with defensive abilities). But will he look like a great catcher? That’s better. Looks like a Hall of Famer already — a UFH Hall of Famer. 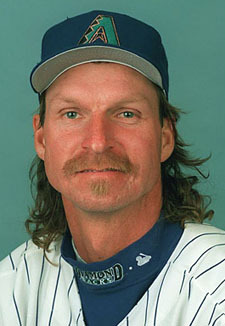 Finally, Randy Johnson was the first ball player to combine a mullet with a mustache with a soul patch with being freakishly tall. David Price is another tall pitcher. What would Price look like if he let it all grow out, a la the Big Unit? Forget the Big Unit, that’s one crazy Price! 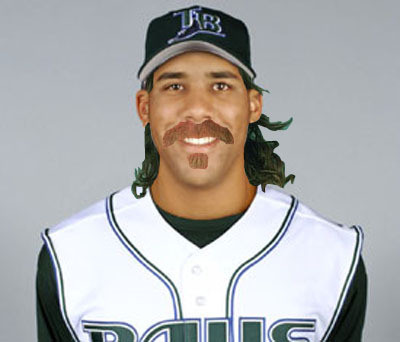 Yeah, but you gotta admit David Price looks fantastic with a mullet. 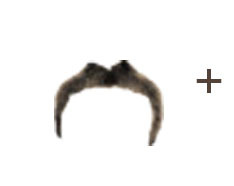 OMG, Price needs to grow that mullet stat. UFH may be the only way that these young, talented players will be taken seriously by their teammates. Toss those razors, boys! GROW, GROW, GROW! 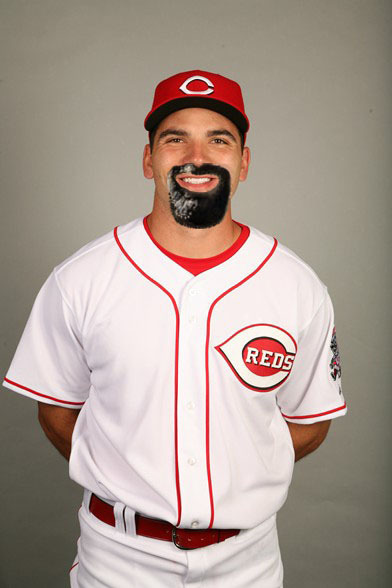 Joey Votto looks like he grew facial hair then tried to drink a bucket of white paint. As for Price…I swear that guy sells drugs to little kids and talks about the people’s revolution when he’s high. You are so wrong!! 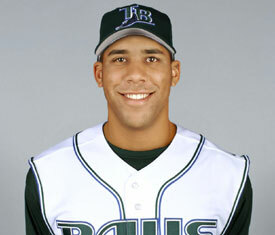 I’ve known David Price from Murfreesboro, TN since he was in day care with my twin boys. You’ve got the wrong guy! I can’t stand Tulowitski. I hope his sophomore slump lasts forever. I would totally follow David Price into the jungles of Nicaragua now.